Swedish electro-house duo Dada Life performed at Cactus Jacks Monday, Oct. 22, showing fans in Kamloops what their famous energy is all about. Hailing from Los Angeles, opening act 12th Planet did a great job of priming the crowd with electric dance music (EDM). Dada Life members Olle Corneer and Stefan Engbliom then burst on stage and manned the turntables for what would be a night of high-energy fun. For those unfamiliar, Dada Life has amassed a markedly larger fan base since their debut in 2006. These fans have become welcomed citizens of “Dada Land,” where their electronic, bass-ramped beats are anthems for fun. As the kings of this fantasy empire, Dada Life has also created a list of “Dada Rules” which prescribe certain behaviour for admirers and show attendees. Monday’s performance proves the duo isn’t just talk – they practice what they preach. Rule #35 – Never bring your brain into the club. Inflatable bananas and champagne bottles swirled across the dance floor, while several fans dressed as bananas fist-pumped their way to the front. Fans even brought their own bananas, hurling the fruit on stage. To an outsider unfamiliar with the pair’s trademark gimmickry, this all appears moronic. That’s just the point – the club isn’t for your brain and it certainly isn’t for thinking. Both members of the duo even picked up some of the fruit, peeling them back for a mid-performance snack. Rule #12 – If you don’t want to get wet, you don’t want to have fun – and get wet show-goers did. The pair popped at least three bottles of champagne and drenched half the dance floor in the bursting bubbly. Rule #9 – If you’re stuck, there’s only one solution: go harder. 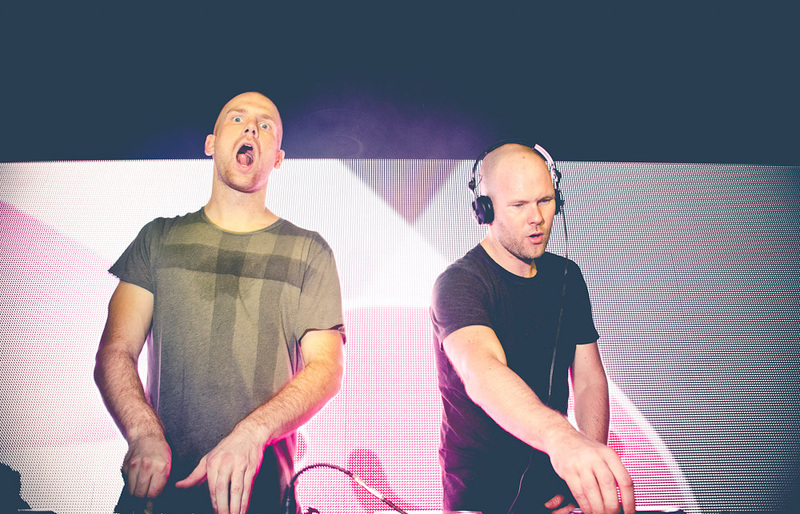 From beginning to end, Dada Life filled Cactus Jacks with their characteristic, energy-driven sound, playing fan favorites like “Kick Out The Epic,” “Rolling Stones T-Shirt” and fellow DJs Bingo Players’ “Rattle” (arguably one of the most popular EDM tracks of 2012). The harder it was, the louder it sounded and the faster it got fans moving, the more Dada Life let it play. The show gave fans exactly what they wanted. Cactus Jacks became Dada Land, and the rules of Dada were strongly enforced. Overall attendance was small, but the fans that were present made up for the lack of numbers with their energy and enthusiasm. If potassium-infused, bottle-poppin’ fun is something you’re into, make sure not to miss the duo next time they slide through Kamloops.